The stories on the pages of this blog, on The Sunday Series, are just about life. We all face struggles. It’s never about the thought, “glad it’s not me.” But it’s always about the amazing fortitude, strength, courage, hope and inspiration you and I can derive from sharing our human experiences. It’s the incredible realization that if someone else can overcome, so can I. Sometimes feeling empathy creates motivation and inspiration that’s been hiding in the shadows of your own existence. This is The Sunday Series. Her name is Cheryl McGuinness, someone who lived through about as bad an experience as a person can. One morning in late summer, her husband, Tom, went off to work before dawn, as he often did, kissing her before he left. A few hours later, Cheryl got up, took her teenage son to school, and settled into her daily routine. It was the morning of September 11, 2001 and, Cheryl’s husband, Tom, was a pilot for American Airlines. For hours, while Cheryl’s house filled with friends, neighbors,other pilots, and people from her church, she was unable to get any answers to her questions. But when a car pulled up to her house carrying the chief pilot of the airline, she learned what happened. American Airlines Flight 11, for which Tom had been the copilot, was the first plane that crashed into the World Trade Center. Tom and all the others on the plane were dead. 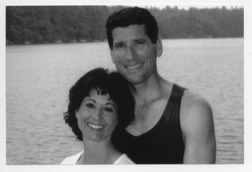 Cheryl fulfilled her role with determination and strength. She planned Tom’s funeral and even spoke at it, which was something far out of her comfort zone. She took care of her children. She started running her household as a single parent. And she learned rapidly how to deal with the difficulties of being a widow. For example, for the first Mother’s Day she spent alone after the tragedy, she allowed well-meaning friends to talk her into going to an event that they thought would help her. It was a mistake. So as Father’s Day approached, she was proactive and arranged the day to make the best of it for herself and her children. Each new experience became an opportunity for personal growth. Cheryl writes, “I am learning more each day. The circumstances of 9/11 have forced me to examine who I am, to face myself in ways that I never had to before, to ask, ‘What does God want for me? What can I do in him, by his power within me? How will he use me to touch others?’ I am learning more about myself and about God. And I am learning it on my own, not through Tom’s filter.” Cheryl says that she didn’t realize until Tome was gone how lazy she had become. Before, she had depended on him to prompt her growth. Now she was taking responsibility for herself. One of the areas where she grew most was in public speaking. “Before 9/11, I had never been a public speaker. The very thought of speaking before a large group frightened me. When I spoke at Tom’s memorial service, I put aside fear for that one day, figuring I’d been given a once-in-a-lifetime opportunity…I didn’t expect to speak in public ever again.” But people kept asking her to speak, and step by step, she grew as a speaker. She was determined to allow her loss to lead to others’ gain. Today Cheryl’s children are grown. She remarried; her husband is Doug Hutchins. And she is content with her life. She was asked about the tragedy on its tenth anniversary. 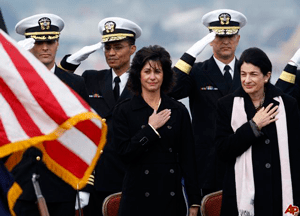 “It’s a terrible, terrible day that I don’t think anybody can ever forget,” she said, but added, “Out of the ashes of Sept. 11, out of the rubble of that day, I can emerge to say that I am stronger today than 10 years ago.” That’s what can happen when a person manages bad experiences well. 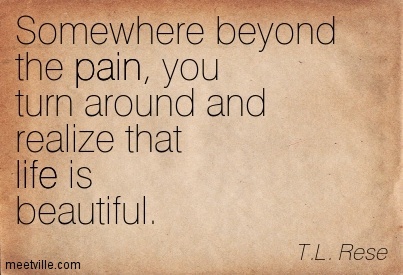 That shows the power of the Law of Pain. This morning’s Sunday Series is not one I generated on my own. Today I decided to showcase a story as it was written in John C. Maxwell’s book, The 15 Invaluable Laws of Growth, to share the story of Cheryl McGuinness, who does well to prove the point of how life in the face of tragedy can still be lived. It’s an experience we can all relate to in some fashion because most of us reading this blog lived through that day. Yet so many of life’s troubles, tribulations and much worse remain in the shadows, but the people living in those shadows find a way to overcome. Be present, take life head on, because sometimes it will hit you just that way. Feel free to come back here each Sunday, because that is exactly what I do, feature people who overcome and grow against the things in life where many of us might shrink. If they can overcome, so can we. From the heart of pain can come life’s greatest gain. If only you believe it to be true. 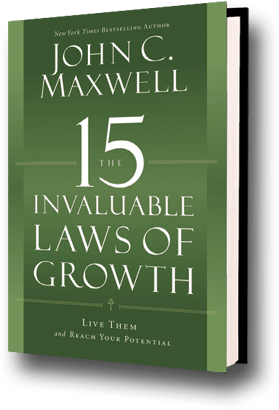 (If there is one book I believe you should read, and with all transparency I’m only halfway through it, it is Maxwell’s, The 15 Invaluable Laws of Growth,(https://www.johnmaxwell.com/store/products/The-15-Invaluable-Laws-of-Growth.html), it is, in my opinion, one of the most powerful books I have ever held in my hands. You can go directly to a link for the book by clicking on the link on this page, or on the Higher Shelf! page on this blog. All I can say is, in all honesty, if you think you know.. then read this book because I can assure you, you don’t. 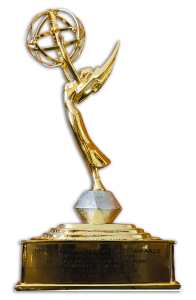 For ideas, comments, or suggestions for The Sunday Series -you can leave a note on the blog, OR e-mail: markbrodinsky@gmail.